April 7, 1904: Baltimore Sewer System. 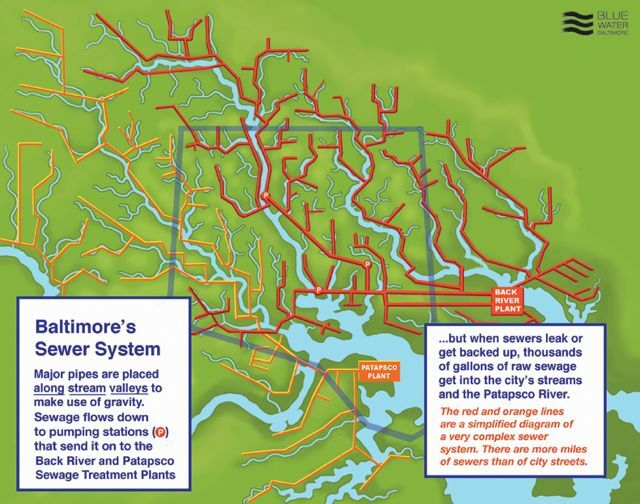 “Baltimore was one of the last major cities on the east coast to construct a proper sewer system. The City’s inability to install sanitary sewers until 1915 tarnished the appeal of what was otherwise a successful city. Several commissions throughout the nineteenth century formulated plans for a sewer system for Baltimore, but were unsuccessful because of economic conditions and fighting between political parties. Lacking a sewer system, Baltimore relied primarily on privy vaults (cesspools) for waste disposal until the early twentieth century. Privy vaults are holes dug 3 to 75 feet deep, though most were quite shallow. Baltimore’s sandy soil was ideal for privy vaults, making the method the most economically viable form of waste disposal. It was estimated that in 1880, with a population of 350,000, over 80 thousand privy vaults were in use in the City. This entry was posted in Year 7 TDIWH and tagged Baltimore, Maryland, privy vaults, public health, sewage, sewers, water, water history on April 7, 2019 by safedrinkingwaterdotcom. This entry was posted in Year 6 TDIWH and tagged Baltimore, Maryland, privy vaults, public health, sewage, sewers, water, water history on April 7, 2018 by safedrinkingwaterdotcom. This entry was posted in Year 5 TDIWH and tagged Baltimore, Maryland, privy vaults, public health, sewage, sewers, water, water history on April 7, 2017 by safedrinkingwaterdotcom. This entry was posted in Year 4 TDIWH and tagged Baltimore, Maryland, privy vaults, public health, sewage, sewers, water, water history on April 7, 2016 by safedrinkingwaterdotcom.